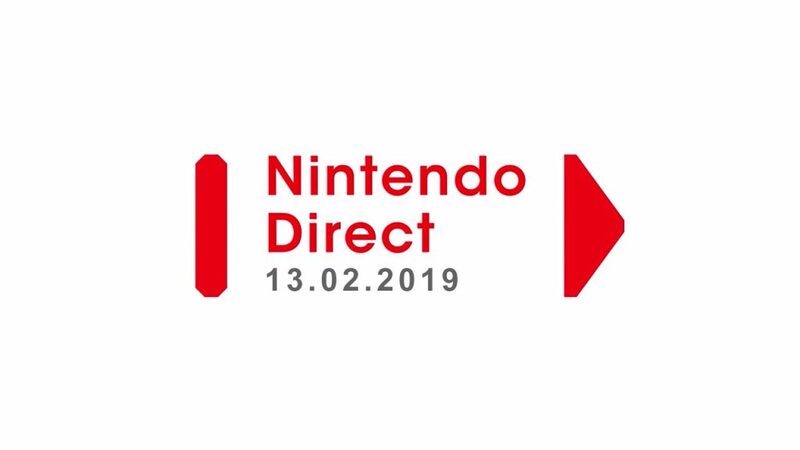 Did you miss the Nintendo Direct? We’ve got you covered! Never fear, Pokemon Crossroads took some diligent notes on today’s Nintendo Direct. Unfortunately, due to Metroid’s new game development hitting a stand still, there was not a lot of new game news. We’ll preface now with that none of the following news in Pokemon related. That being said, you still might be interested in some of the games receiving updates and new releases so be sure to take a look down the list to see what’s in store. Were you a fan of Super Mario Maker? The game is receiving a fresh coat of paint as Super Mario Maker 2 is being released on the Switch! With new abilities and features that are to be discussed later, it will be a great new experience for those that greatly enjoyed the original. It is set to be released sometime during June. Marvel is also now joining the Switch family. Their new game Marvel Ultimate Alliance 3 The Black Order is a 4 player co-op action RPG featuring all your favorite Avengers, including Captain Marvel! It features online and local multiplayer and has synergy attacks that allow for you to take out lots of enemies all at once. It is set to be released in summer of this year. Boxboy has returned! Moving off the Nintendo 3DS and onto the Switch, it comes with a ton of new features. In addition to the regular player style, there’s now a Boxgirl for two player co-op mode. There’s also a new character, Qudy, starring in a new tall mode that is available after you beat the main game. All in all this brings the level count to 270, the most in any Boxboy game. It is set to be released on April 26. A spring update for Super Smash Bros Ultimate is to be released soon. However, for now the details are being kept quite. Joker is to be included in Challenger Pack 1 which should be available by this coming April. In addition, a new series of Amibos is also coming soon. Captain Toad: Treasure Tracker is receiving two major updates! The first, which is a free update, allows for two player co-op mode on all existing stages. The second is a DLC, which features 18 new challenges in both existing and in the five new courses. Toad and friends must collect the golden crowns by completing some of the new challenges and achievements. If you haven’t gotten the game yet, this will all be available in a special bundle. The first stage of this DLC as well as the free update will be available later today. However, the rest of challenges and courses will not be released until March 14. A new game known as Bloodstained: Ritual of the Night is coming to the Switch. A side scrolling gothic themed game, it features a protagonist with a variety of abilities. She can steal her opponent’s abilities, alter gravity, and even zip around the castle she’s exploring. It also features character customization, sub quests, and more. It is set to be released in the summer of 2019. Dragon Quest Builders 2 is coming to the Switch. Your primary objective is to build towns and structures as well as explore the world around you. It now features local and online multiplayer, as well as a bunch of new mechanics such as gliding, dashing, playing in first person, teleportation, and underwater exploration. It is available July 12. In addition, another Dragon Quest game will also be available this fall! Dragon Quest XI Echoes of an Elusive Age Definitive Edition is coming to the Switch. Featuring turn based battles, skill trees, crafting, side quests, and even casinos and horse races, the game also comes with loads of additional features. Players are able to switch between 3D and 2D graphics as well as English or Japanese voice audio. The game is also now fully orchestrated, with players able to switch between the new and original melodies as they choose. Finally, new stories featuring all the members of the main cast will also be available when the game comes out this fall. Disney Tsum Tsum Festival is coming to the Switch. It features competitive and co-op games for up to four players at a time. It also brings back the original puzzle mode as well with two player versus mode. Both of these have local and online play features. It is set to be released later this year. Starlink Battle for Atlas is receiving an update featuring the rest of the Starfox crew. Falco, Slippy, and Peppy must head out on a hunt and seek mission in the new update to take out some of the Starwolf crew. Each member has their skills and skill trees that will allow them to be of great aid to you in a variety of missions. This update will be released in April. Rune Factory 4 Special Edition is coming to the Switch. 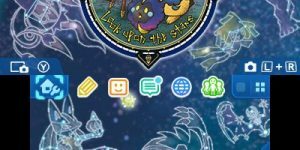 Bring back all your favorite features such as raising monsters, fishing, and cooking, Rune Factory 4 Special Edition also implements the new newly-wed mode that is unique to the Switch version of the game. It is to be released later this year. In addition, Rune Factory 5 is also in-development with more details to come. Oninaki brings a unique story to the switch featuring a land where mourning the dead is forbidden due to its hindrance of the reincarnation cycle. You play as a character that can move between the land of the living and the land of the beyond. Your goal is to help lost spirits before they turn into monsters. You’ll have to face off against these monsters, but the lost souls will grant you unique abilities to help you in your time of need. It is set to release this summer. Yoshi’s Crafted World is also coming to the Switch! Featuring robots, rafting, and racing, there are plenty of new features in the game. The game also features over a hundred new costumes that will act as a little extra armor against your enemy’s attacks. There’s also new bosses and challenges for you when the game releases on March 29. But don’t worry, a demo will release soon featuring the first course. Big news surrounding Fire Emblem: Three Houses dropped during today’s Nintendo Direct. You play as a mercenary turned professor as you begin to receive visions of a strange girl. As you try to discover your own fate, you must pick one of the three houses in the school to be a professor to. These three houses, known as the Black Eagles, the Blue Lions, and the Golden Deer, represent the ruling parties of each of the three kingdoms surrounding your school. In each of these houses is the future leader of these factions, as well as many other students. Your job is to train one of these groups in real combat experience, by teaching them magic and other skills. However, be warned, when you take your students into combat, the stakes are very real, and the lives of your students rests in your hands. Discover their fate as well as your own when the game releases on June 26. Tetris 99 is a new exclusive game for Nintendo Switch Online Members. A survival game in which you play Tetris against 99 other players, it is set to have multiple events throughout the rest of the year to prove who is the best man left standing. The game will be available later today. Dead by Daylight is coming to the Switch in Fall of 2019. Play as either the survivors or the hunters with unique customizations and skill trees. There are loads of maps and characters waiting for you to explore when the game comes out. Deltarune chapter 1 is also being released on the Switch on February 28 for free! If you enjoyed Undertale, enjoy this new adventure by Toby Fox. More chapters are currently in development, and while you will have to pay for those in the future, you can at least try out the first chapter for free. Daemon X Machina Prototype Mission is set to release a demo soon. Featuring customizable mechs and missions, the demo also includes a final boss. Following its completion, the devs encourage feedback via an email survey many players will receive. Even if you do not receive it, you can always convey your thoughts via social media. The game is set to release this summer. GRID Autosport is also coming as a Switch adaptation. Featuring excellent handling and an AI that adapts to your skills, the Switch edition will include all the DLC content with over 100 courses and cars each. In addition, it also has new features such as motion controls and split screen multiplayer that are exclusive to the Switch version of the game. It is set to release this summer. Hellblade: Senua’s Sacrifice is also set to release on the Switch. With neurologists included in the development, play as a Celtic warrior fighting against the Vikings in a game with an excellent and unique graphics style. Experience it for yourself later this spring. Mortal Combat 11 is also coming to the Switch on April 23. It will also featuring new skill customizations and all sorts of characters from across the franchise. Unravel 2 is coming to the Switch on March 22. It now features local co-op mode, but never fear, single player mode is still an option even with two characters that need to be controlled. Assassin’s Creed III Remastered is coming this May. Centered around the American Revolution, all DLC content will be included and new features such as touch input have been added. It releases on May 21. In terms of Final Fantasy, three announcements have been made. Final Fantasy IX will be arriving on the Switch later today. Final Fantasy VII will be released March 26. Finally, Chocobo’s Mystery Dungeon EVERYBODY! will be released on March 27. A new game called Astral Chain is also in development by the same company that brought you Bayonetta. While the details are still in development, you play as a police officer with a robot combat companion fighting against terrorists that plague your city. The robot appears to have two modes, one with a more human like appearance, and the other with a more wolf like appearance that can be mounted and ridden. More details about combat will be discussed in the future, and the game is set to released on August 30. In addition, Bayonetta 3 is also in development, with news to be released in future directs. Finally, after nearly three decades, Legend of Zelda: Link’s Awakening is being remastered for the Switch. Featuring a chibi style, the game stays true to its origins, even featuring some of the original Mario enemies like Chain Chomp. The game is set to release later this year. That’s all for now folks, so until next time, see you then!